Speak Schmeak: Speak Schmeak for the Kindle! Speak Schmeak for the Kindle! Are you a Kindle user, on the go and no time to sit down at the computer to dig through your feed reader? Well, now you can read Speak Schmeak right on your Kindle! 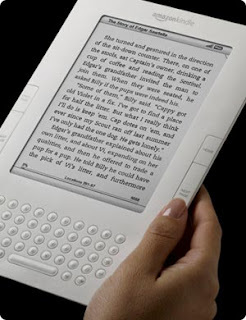 "Kindle Blogs are auto-delivered wirelessly to the Kindle and updated throughout the day. They are fully downloaded onto your Kindle so you can read them even when you're not wirelessly connected. And unlike RSS readers which often only provide headlines, blogs on Kindle contain full text content and most images."